Posted on Dec 18, 2011 by Appleton Downtown Inc.
Gloves or Mittens? Gloves or Mittens? In a shopping season full of difficult decisions…let us help you find one easy solution…the glitten. For those of you not familiar with this term, it is simply both a glove and a mitten combined in a convenient and oh-so-adorable way to keep your hands warm. 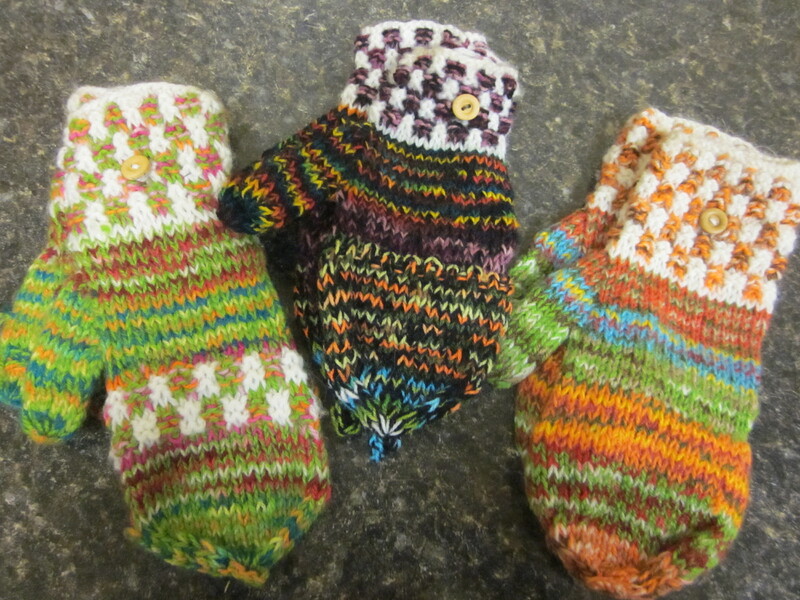 Generally speaking, I, like many others, choose mittens because my fingers get cold when separated in gloves. However, clearly, we all struggle with dilemmas in our everyday life when wearing mittens…getting out car keys, turning the radio station, pumping gas, talking/texting, etc. With a glitten, your fingers can be exposed when needed, but the flaps fold over and cover to keep your hands warm and toasty. We’ve got lots to choose from at hey daisy…A big shipment of these adorable multi colored glittens (pictured) just arrived this week and they're already flying out the door. Pick up a pair today for yourself, or that hard-to-buy-for friend or relative you’re dying to cross off your list. ‘Tis the season…it turns out you really can have the best of both worlds.